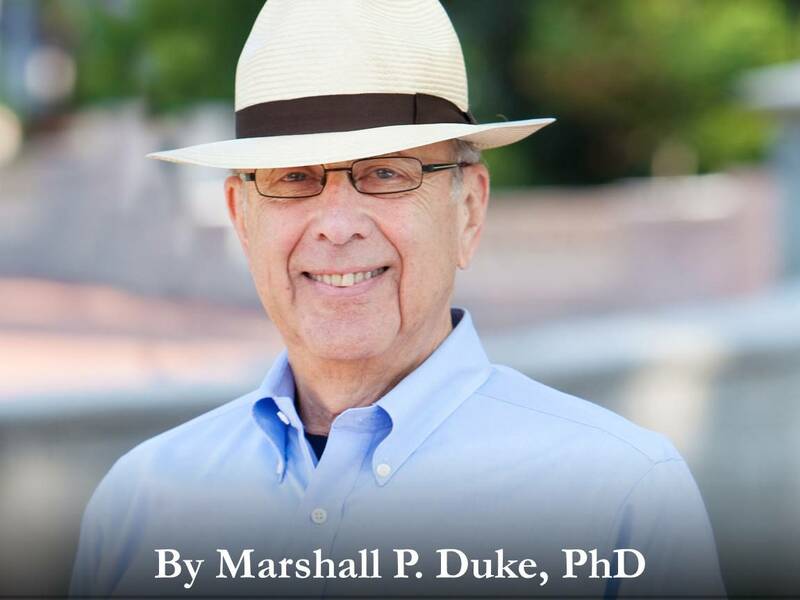 Marshall P. Duke, Ph.D. received his BA in psychology from Rutgers University in 1964 and his PhD in clinical psychology from Indiana University in 1968. From 1968 to 1970, he served as a clinical psychologist in the US Army Medical Service Corps. Since 1970 he has been a member of the psychology faculty at Emory University where he is the Charles Howard Candler Professor of Personality Theory. For the past decade he has been a member of the core faculty of Emory’s Center for the Study of Myth and Ritual in American Life (MARIAL). Editor in Chief of the Journal of Family Life and author of more than 100 research articles and 9 books, his research and writings have focused on social relationship deficits in children and adults (dyssemia), locus of control, and the importance of family stories and rituals in the nurturing of resilience in children. Over the years, he has appeared on Good Morning America, the Today Show and the Oprah Winfrey Show. His work has been written about in the New York Times, Boston Globe, Wall Street Journal, Parents Magazine and Time Magazine among others. Professor Duke is the father of three and grandfather of nine, so he blessed with lots of people to tell family stories to. He has been married to Sara Bookman Duke for a very, very long time. LATEST POSTS from Marshall P. Duke, Ph.D.